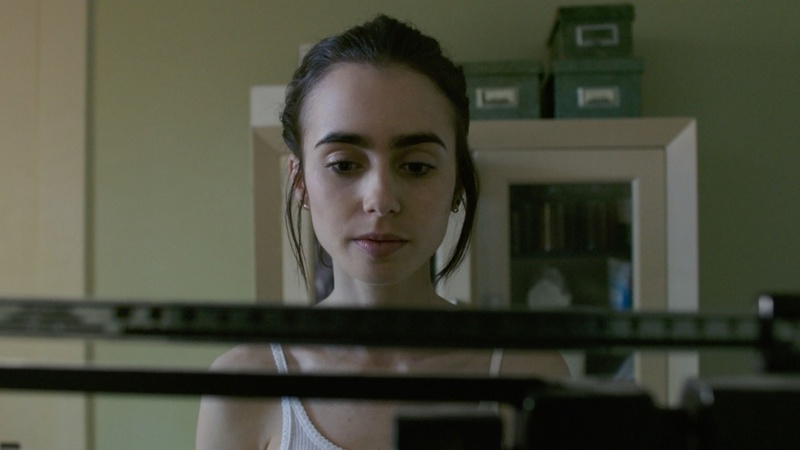 To the Bone is a new film distributed by Netflix which follows the story of 20-year-old Ellen and her battle with anorexia nervosa and subsequent treatment in a specialised group home. Various mental health experts, including Headspace, have issued a warning for parents on the film’s portrayal of anorexia nervosa, suggesting that it glorifies the disorder. Former and current sufferers of the illness agree with this suggestion, confirming that many images from the film have been posted on leading ‘pro-ana’ (pro-anorexia) websites. Such websites promote anorexia as a positive thing and include tips on how to avoid eating. Other reviews of To the Bone state that the film focusses too much on the physical health impacts of the illness, and fails to open a discussion on the causes and triggers that incite the illness to develop in the first place - which are equally as important. Clinical Psychologist and Family Zone Cyber Expert, Jordan Foster, shares her view; “There is no doubt that digital media has helped to address mental health stigmatisation by opening the door of communication about topics like suicide or addiction. While in many ways this destigmatisation has been profoundly positive, parents need to remain vigilant about monitoring the impact that these types of shows have on their children. “For the vast majority of the population that don’t suffer from eating-disordered type behaviour, To the Bone may be a helpful conversation starter about exploring mental health issues and how to seek help when needed. However, research suggests that shows that depict eating-disordered behaviour are likely to have a serious negative impact on young people who currently suffer from mental health issues, or who are already experiencing problematic eating behaviours. - Watch the film before deciding on whether your teenagers can watch it, so you can make your own decision about the seriousness and potential impact of the content. The film is not recommended for children under the age of 15. The peak age group for young people to be at risk of developing an eating disorder is 12 to 25. Therefore, I recommend watching the film with them, and discuss topics like where the ‘characters’ or people suffering from mental health issues could seek help if they needed it. - If you choose to let your teens watch the film, it’s best to watch with them. Discuss how different aspects of the content made them feel, and explore any distress or challenging feelings that may come up. It is better to have these difficult feelings out in the open as opposed to avoiding a discussion and your child stewing in their distressing thoughts or feelings. - Pay attention to any warning signs that indicate your child may be at risk. Physical signs like rapid weight loss or changes in sleep patterns need to be addressed. Preoccupation with food, signs of irritability around meal times, or your child saying that they feel like they are ‘out of control’ around food are psychological red flags for eating disorders. Behavioural changes like eating in private, frequent trips to the bathroom after meals, or excessive exercise are all signs that need to be considered. If you, or a young person you know, is struggling with symptoms of mental illness please contact your local Headspace centre here or chat with them online. If you are over the age of 25 and suffering from symptoms of mental illness please contact your local GP for a Mental Health Assessment Plan or call Lifeline Australia on 13 11 14. The Butterfly Foundation is Australia’s leading national eating disorders support service. If you have concerns about a loved one, or are in need of support, contact their helpline on 1800 33 4673.